ALL-STAR FULL-BACK Paul Curran will captain the Tipperary senior hurlers for the 2012 season, it was confirmed last night. Manager Declan Ryan has turned to the Mullinahone clubman to replace Eoin Kelly, who captained the county to its All-Ireland win over Kilkenny in 2010. Padraic Maher will serve as the team’s vice-captain, where he replaces outgoing deputy Conor O’Mahony. The 2012 campaign will be Curran’s 12th in the blue and gold of Tipperary. The 30-year-old made his senior inter-county debut against Cork in the 2001 National Hurling League and formed part of the extended panel as Tipperary went on to win Munster and All-Ireland titles later that year. Curran won a second All-Ireland medal in 2010, and was named All-Star full-back that season and again in 2011. Maher, 23, captained the Tipperary U21s to an All-Ireland in 2010 and also played a key role in Tipp’s senior championship win later that season. Our minor hurlers are keeping the flag flying for the moment. Having won all their games convincingly to date tougher games lay ahead. They have worked a lot on their hurling in training and it’s evident in their style of play which is very direct with a good first touch. Now is the time to keep their feet on the ground and work hard. Best of luck for the remainder of the season. The on-going saga at senior level continues to drag on with Carrick Swans appeal pending. With Eoin Kelly and Paul Curran in county action dates for fixtures are getting scarce. It also puts our Intermediate footballers in limbo as all these fixtures affect each other. Meanwhile our U21 hurlers play a guessing game as to when they might be in action. Our classic takes place in Callan Golf Club on Saturday August 20th. As we expect a good response to this one day classic it is important to book your tee time as soon as possible by contacting Club Sect. Eddie McCarthy or Michael Walsh at Callan Golf Club. It’s all systems go as we prepare for our annual U12 and U10 tournament on Saturday August 27th. Once again we need accommodation for our many visiting teams and if you can help in any way please contact John Dunne, Poulacapple or Isobel Clarke or any club member. Work continues every Thursday from 7-00pm on. At the moment we’re concentrating on the car park area any help is needed. It’s great to see the work and effort being put in by so many locals planting boxes, power washing and painting their buildings. Rubbish bins have been placed around the village and we encourage everybody to use them. 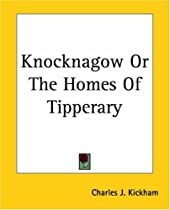 The tidy towns is a project that effects us all and should not be left to individuals. After all we all live in this parish and we all take pride when it looks well. We have the Kickham weekend and the Juvenile parade and tournament coming up so it would be nice to have all our village and derelict buildings looking well for the occasion. Today, Monday September 6th, is not a day for writing weekly notes in Mullinahone. Since approximately 5.05pm yesterday afternoon, our Parish has been en fete and those who haven’t been en fete are dazed with Tipp’s win over Kilkenny in the All Ireland hurling final. Back in the 1960’s, such wins were commonplace, but the last 45 or so years have taught us some bitter lessons. Our only All Ireland wins have come in 1971, 1989, 1991 and 2001. The first of those wins saw us in the role of supporters only, but from 1989 onwards, we were part of the action or rather our players were. First came John Leahy and then Brian O’Meara to be followed by Paul Kelly, Eoin Kelly and Paul Curran. Yesterday’s win was very special for Mullinahone and all border villages such as Gortnahoe, Ballingarry and the town of Carrick, who along with Mullinahone share borders with County Kilkenny. In beating Kilkenny, possibly the greatest hurling team ever to cross our playing fields, Tipperary’s hurling men well and truly derailed the famous drive for five. While we hoped for the desired result, only a brave few were confident, but in the famous words “cometh the hour, cometh the man” or in this case, the men. This was a special victory for Mullinahone as for the first time, a Mullinahone man was Captain of an All Ireland winning Tipperary hurling team. This was something that only prophets or the very foolish could have foreseen 25 years ago when Mullinahone GAA celebrated it’s Centenary and Eoin Kelly was a mere three years old. Eoin led on Sunday by example. He scored 0 - 7, all from frees (seven hits from seven attempts). This brings his scoring total for Tipp in 49 Championship games to 17 - 325 (376 points). He is Tipp’s and Munster’s top scorer in the Championship of all time. The Parish was extremely proud of the dignified Eoin and the wonderful speech he made after the game, accepting the “Liam McCarthy” on behalf of the people of Tipperary. All are looking forward to Eoin bringing the Cup home to his own place on Tuesday evening. He is the first man from South Tipperary to Captain an All Ireland winning hurling team. An honour indeed. No wonder his old school was visited by the R.T.E. cameras on Monday. Eoin himself spoke feelingly of the team and Mullinahone has even more reason to be proud. At full back on the team was Paul Curran. Paul just missed out on an All Ireland medal in 2001. Sunday was his day to come in from the cold. All the year since transferred there in the debacle of Cork, Paul has been terrific at full back for Tipp. Of him too, the Parish is extremely proud. 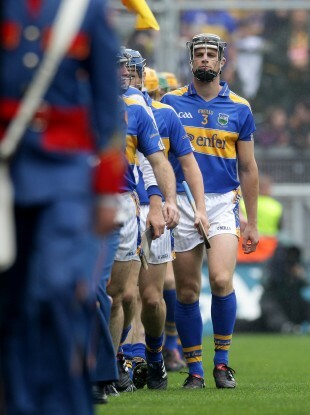 Those with sharp vision, would have seen a member of the extended Tipp panel carrying hurleys and water for the team. An early season injury to Paul Kelly probably cost Mullinahone and Paul another man on the winning Tipp team on Sunday. Today is a day for dreaming and not for notes. Well done to all our hurling heroes. They have helped to stave off the hurling threat for the moment on our eastern front.